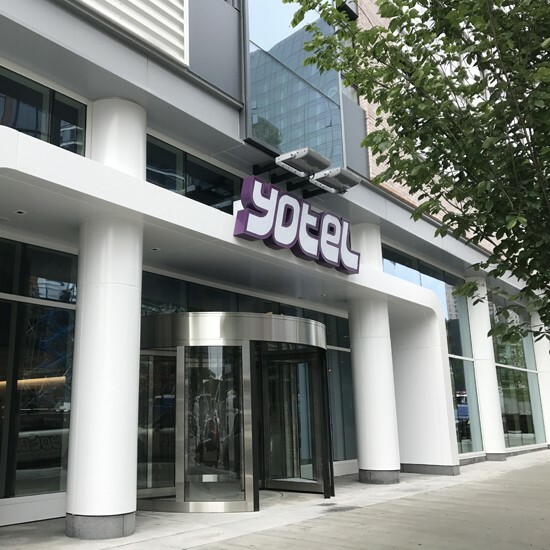 Standing 12 stories tall, Boston’s very first Yotel is now open in the Seaport District. The 99,000-square-foot “microluxury” hotel features 326 “cabins” measuring approximately 180 square feet each. 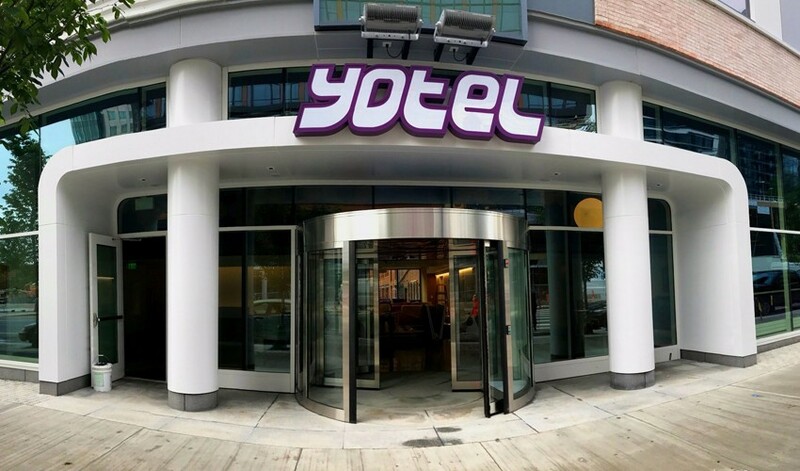 The concept of the yotel is to offer an affordable option for business travelers. 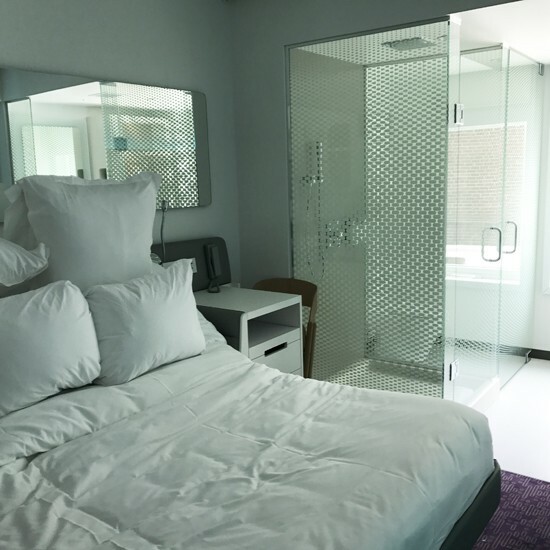 All cabins have a futuristic design featuring signature Yotel adjustable SmartBeds with luxury bedding, rejuvenating monsoon rain showers, relaxing adjustable mood lighting, many power connectivity ports, and smart TVs connectable to guests’ mobile devices. Sunrise’s scope included both the exterior and the interior: ACM panels, ACM custom columns, glass rails, revolving door, curtainwall frames and glazing, aluminum entrances with automatic operators, folding aluminum doors, interior wood pocket sliding doors with custom glass, and shower glass enclosures with custom signature patterns for all rooms. General Contractor: Tishman Construction Corp.